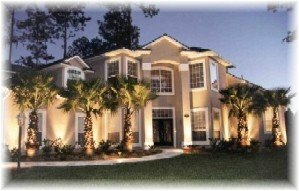 If you’re looking for a “one–of–a–kind” home with a residential custom builder intent on making you happy, then J.A. Long, Inc. is the builder for you. Listen to what clients have to say about J.A. Long time and time again. “Sam and I want to thank you. You have gone over and above in working with us. We’re thankful that we chose J.A. Long Builders to build this wonderful home that has been such a blessing to us and our friends and family! 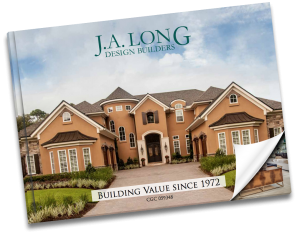 Owners of Sunrise Software, Inc.
“I have been fortunate to have built two homes over the last 12 years with JA Long Design Builders. When I built my first home in 1993, my family had never built a home and the building experience exceeded our expectations. With the Long’s help, we built a custom home that truly reflected our personalities. In 2000, I was ready to build my second home and I chose JA Long again. I was pleasantly surprised to find that many of the subcontractors who had worked on my first home were still working with the Longs. 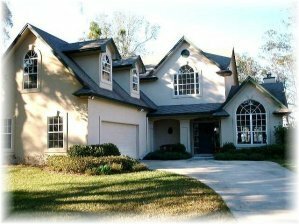 “Kristen and I were moving from New Hampshire to Jacksonville and needed a new home quickly. So prior to the move, Kristen visited Jacksonville and viewed 30 plus homes in 10 neighborhoods over a one week period. Of the 30 homes Kristen viewed, she selected the five best homes for us to visit together. Two of the five homes were J.A. Long homes. When we pulled into our soon-to-be home, there was a man posting a sign in the yard. It was John Long himself checking on the home’s progress. After introducing himself, John proceeded to give us a personal tour of the house which was 75% complete at the time. During the tour he described his final vision for the house. We knew immediately that this was the home for us and signed the contract later that day. “First of all, J. A. Long Design Builders is a wonderful company and they provide excellent service. Any questions we had were quickly addressed. It was refreshing to discuss the actual building and design of our home with Company executives (John, Linda & Randy). We were very impressed with their willingness to use any design ideas that we had as long as those ideas were structurally feasible. J.A. Long Design Builders is head and shoulders above any builder that we have ever dealt with thus far and this is our third house.In the event we decide to build again, you can be sure that we will contact J. A. Long Design Builders to handle construction.